Relax under the stars on a warm summer’s evening with ATHENA S. The frame of the set is made from powder-coated aluminium. The light-weight aluminium won’t rust in the rain and makes the set impressively sturdy and durable. 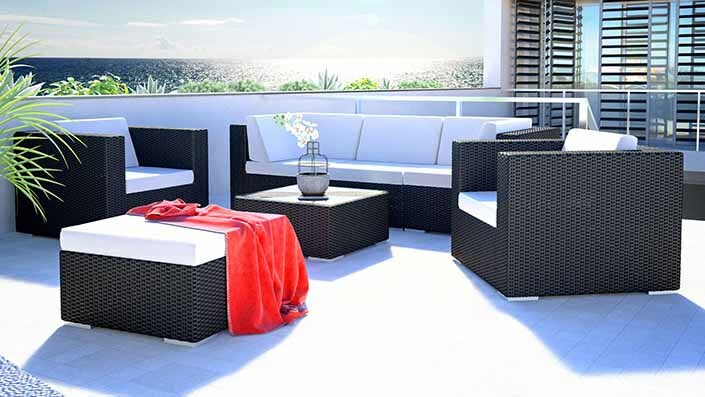 The set would feel at home on your patio, lawn or in your conservatory during the winter months. You can order ATHENA S in black, brown or grey. 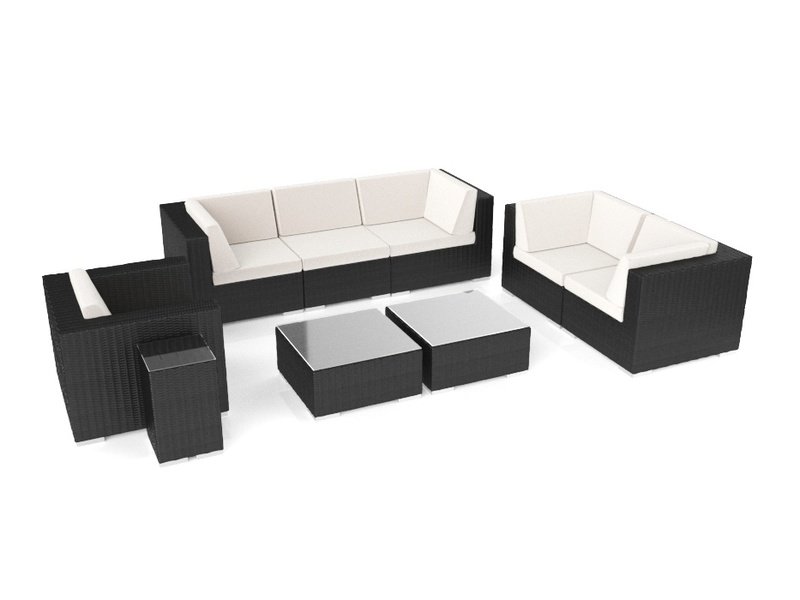 The set is modular, so you can take advantage of the different positioning possibilities. 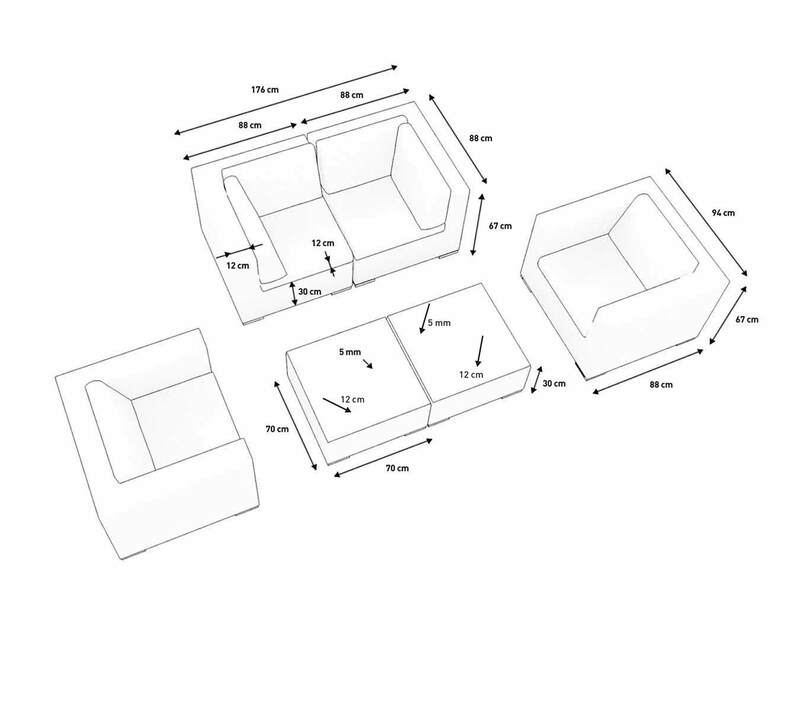 What’s more….ATHENA S comes with 2 coffee tables with 5mm thick safety glass AND cushions, so that you can use the tables as tables OR stools. Genius! 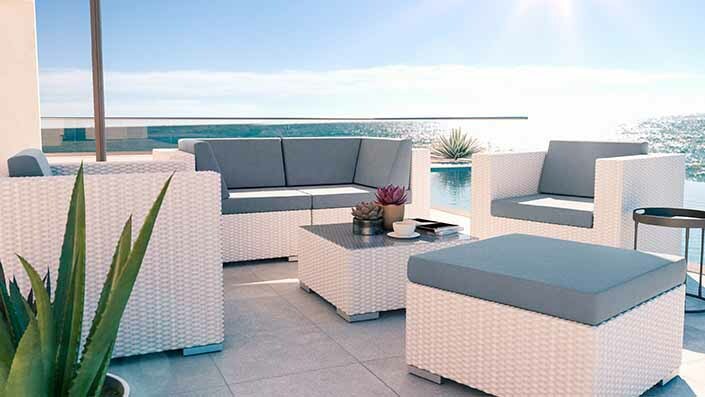 The synthetic rattan is weather-proof. The cushions comply with UKFR (UK fire regulations).